It says the minister will continue to protect the lawful interests of the ministry's personnel. The Ukrainian Interior Ministry has denied reports that Kyiv's Shevchenkivskyy district court is no longer protected by the National Guard. "Servicemen of the National Guard continue to carry duty there. During the day guardsmen rotated as per duty schedule," the ministry's communications department said. 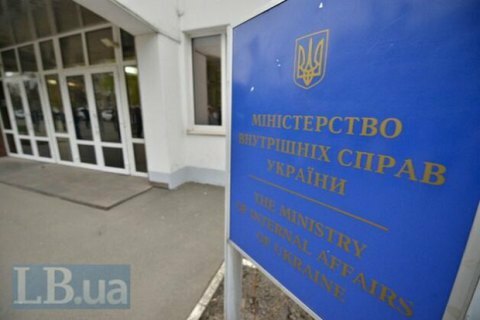 The Interior Ministry urges authorized agencies, including the State Judicial Administration and the Supreme Council of Justice, to honour their commitments in line with Article 160 of the law "On the judiciary and status of judges" and set up a special independent security service for courts as soon as possible. "The interior minister, as a political figure, has reasons to assess decisions of government agencies which demotivate employees and undermine the authority of law-enforcement bodies. Therefore he, in line with his duties, will continue to protect the lawful interests of the personnel of all units of the Interior Ministry's system," the statement reads. The Interior Ministry dismissed the allegations of putting pressure on the judiciary, which the Supreme Council of Justice made earlier in the day, as groundless.